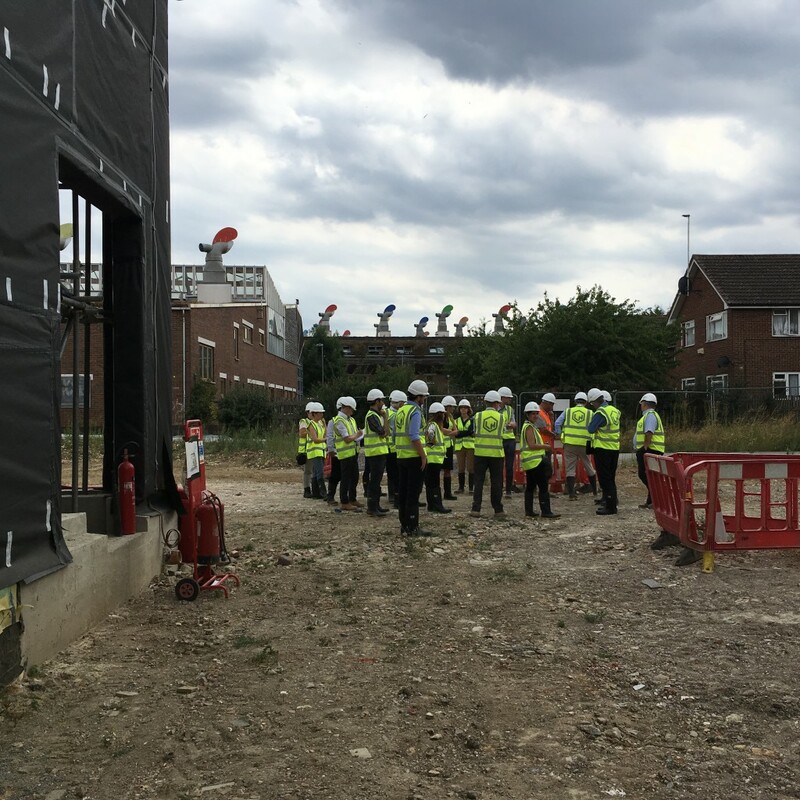 This summer we were pleased to take part in the UKGBC’s learning and development programme with an access-all-areas site tour of Hackbridge Primary School. The event has stirred lots of interest in this exemplar project, so as promised, we are continuing with update on the projects progression. 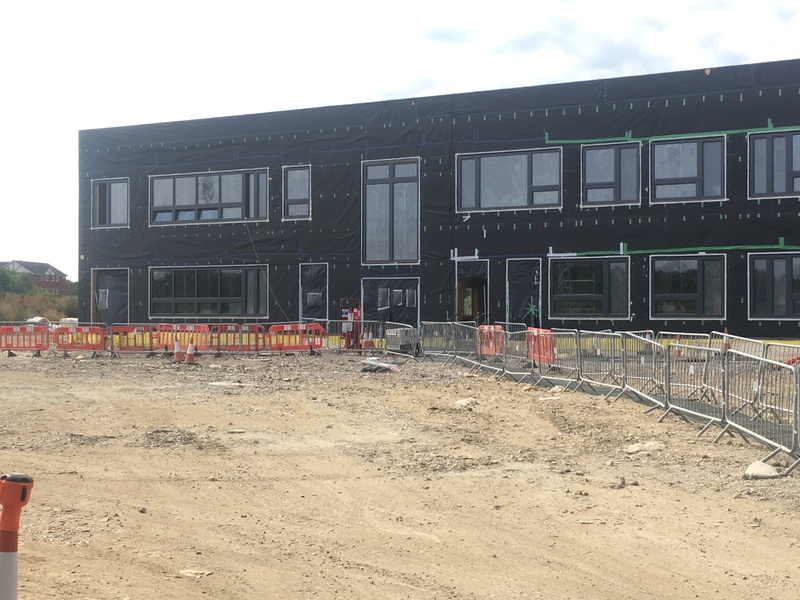 The contractor Lakehouse’s work on the school is well underway, with the windows and louvres now complete, and a good start made on the cladding. Sitting on the edge of an area of Metropolitan Open Land, and adjacent to the innovative, low carbon BedZED community, the brief reflects London Borough of Sutton’s ‘One Planet Sutton’ vision. Building on Architype’s legacy of sustainable educational buildings, it will be our third generation of Passivhaus schools, incorporating low embodied carbon materials, and responding to the surrounding landscape. The project aims to be the first educational Passivhaus Plus in the UK – combining the stringent energy efficiency standard with renewables to generate as much energy as the building consumes over the course of a year. Insulated formwork from Isoquick is thermal-bridge free and avoids temporary formwork waste. The concrete ground floor slab has a high level of cement substitution to reduce its carbon impact, and where appropriate is left exposed to provide thermal mass and a robust, durable finish. 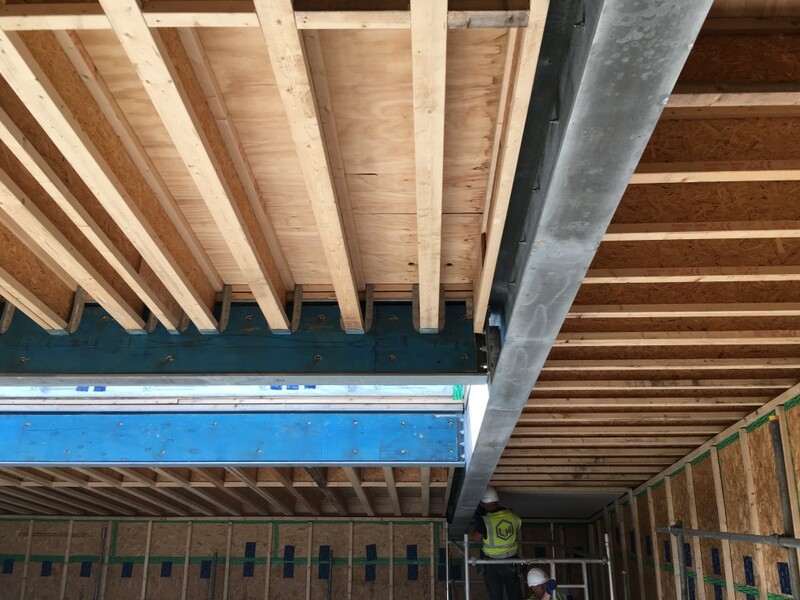 On top of this sits Cygnum’s ‘Larsen Truss’ timber frame; OSB fins frame out the primary columns and beams to achieve a duvet zone of insulation around the timber structure. This is fully filled with cellulose insulation made from recycled paper which, like the timber, is a carbon store. 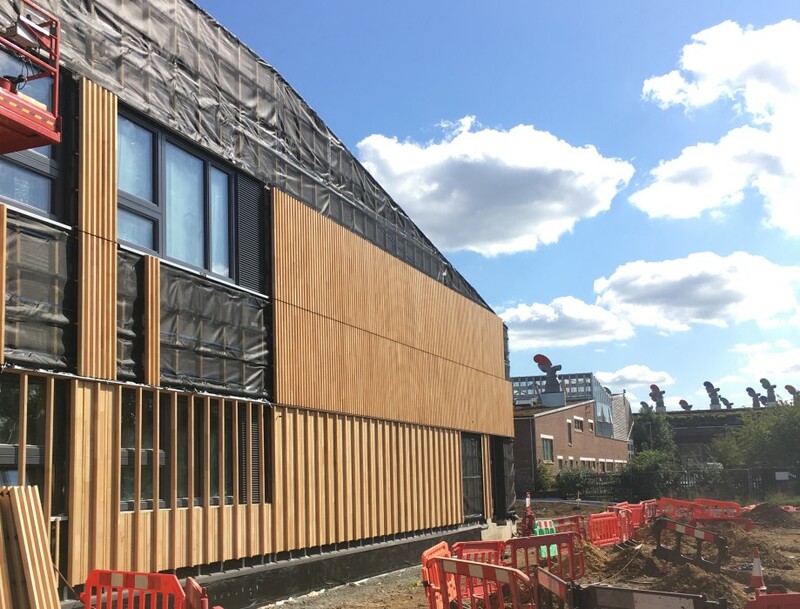 The cladding has been meticulously designed and fabricated by BCL using sweet chestnut – a fast growing hardwood with a long lifespan which will reduce replacement costs. High performance triple glazed windows are specified throughout, with glass on the south elevation shaded by a terrace and brise soleil to maximise useful solar gain when the sun is low in the winter, whilst minimising overheating during summer months. 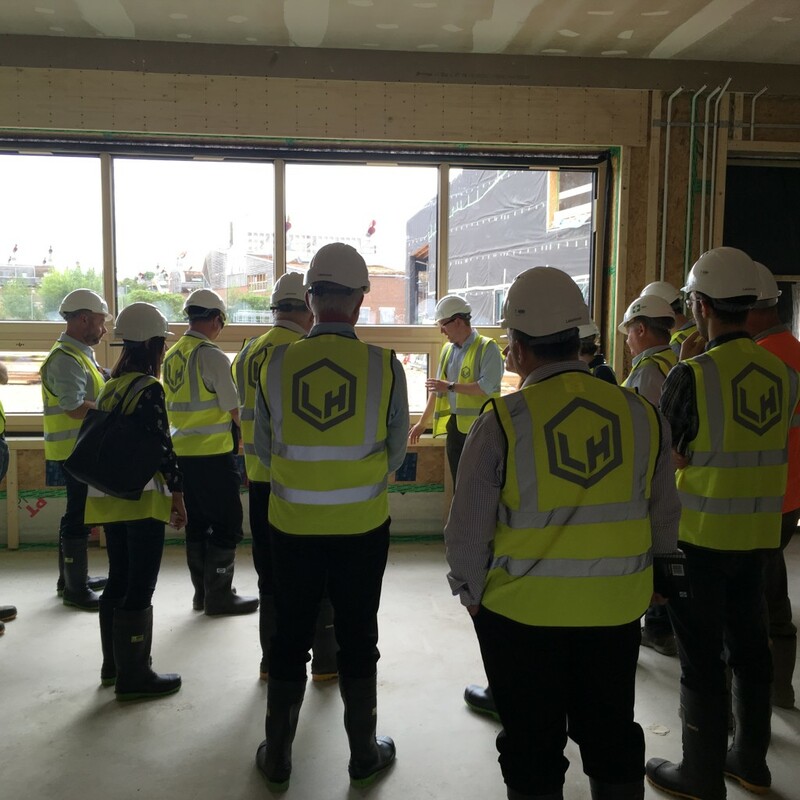 Prior to the windows being installed, two rooms on a corner of the building were tested for airtightness, with a whole building test planned this month. Churchman Landscape Architects’ selection of plants for the biodiverse green roof reflects habitats found on the site. Shade tolerant varieties have been selected for areas underneath the large photovoltaics array, which will meet the building’s electricity demand. On their way into school, children will run over a buried ground source heat pump, which topped up by a small amount of gas to improve efficiency, will provide heating and hot water. We have been working with the school to incorporate the children’s artwork into the building’s cladding, and they are looking forward to seeing their designs on the finished buildings at the end of the calendar year.